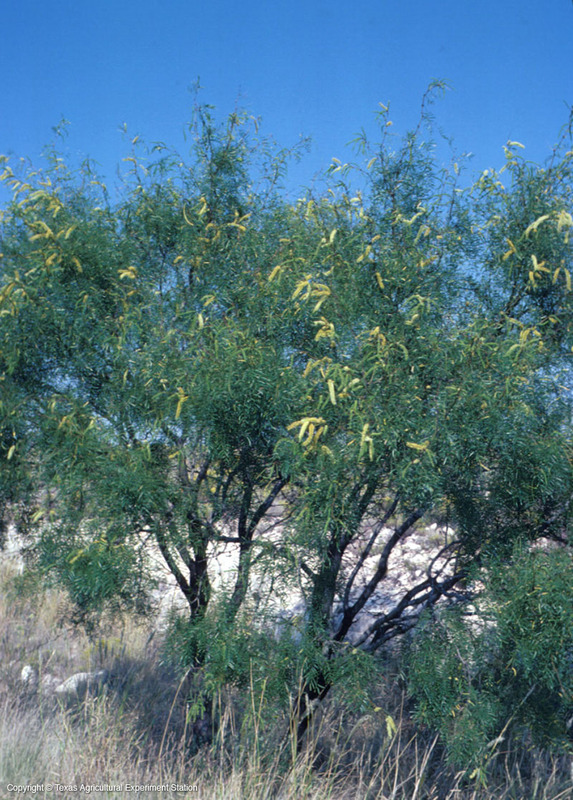 Mesquite is one of the most widely distributed trees in Texas. It is a small to medium tree with an irregular crown of finely divided bipinnately compound foliage that casts very light dappled shade underneath. 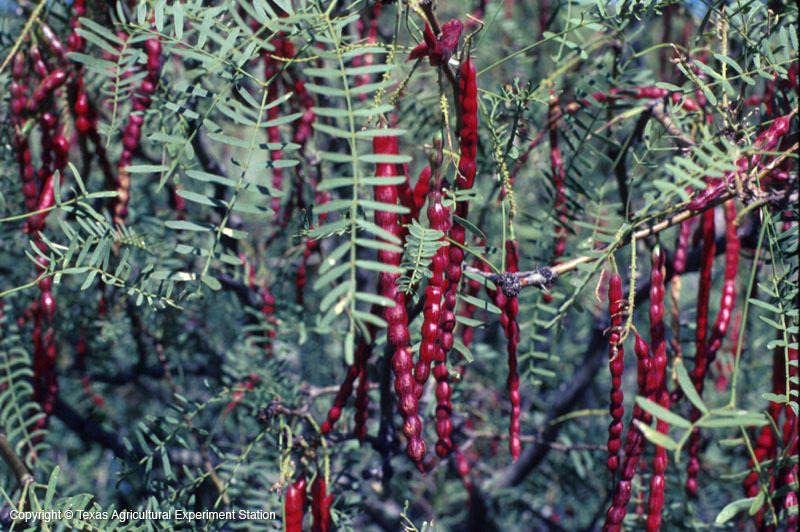 It is armed with thorns sometimes up to 2 inches long. 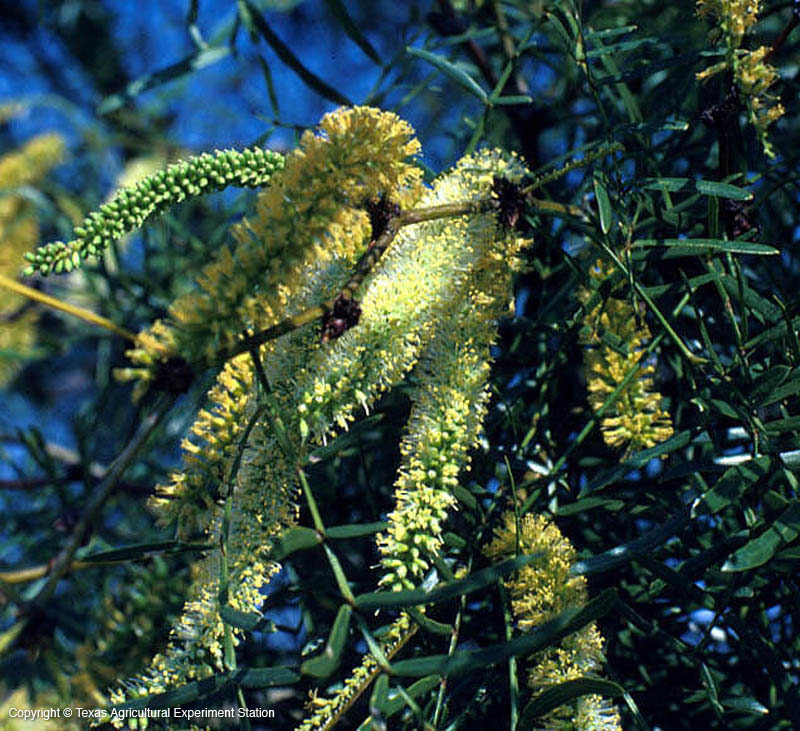 In the spring, summer and after rains it is covered with fragrant white flowers, and the long bean pods are ornamental as well as providing food for wildlife and livestock. 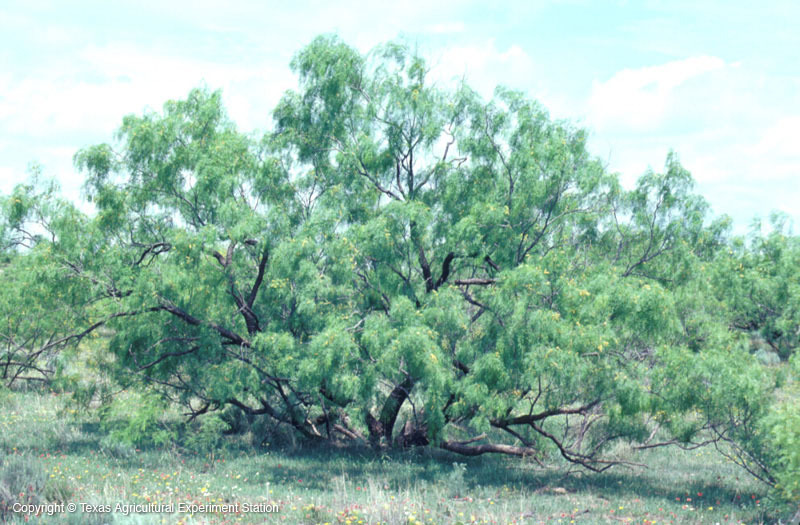 Mesquite is not a rancher's favorite tree: it readily invades overgrazed sites and other disturbed land, is virtually impossible to get rid of, and the thorns injure livestock. 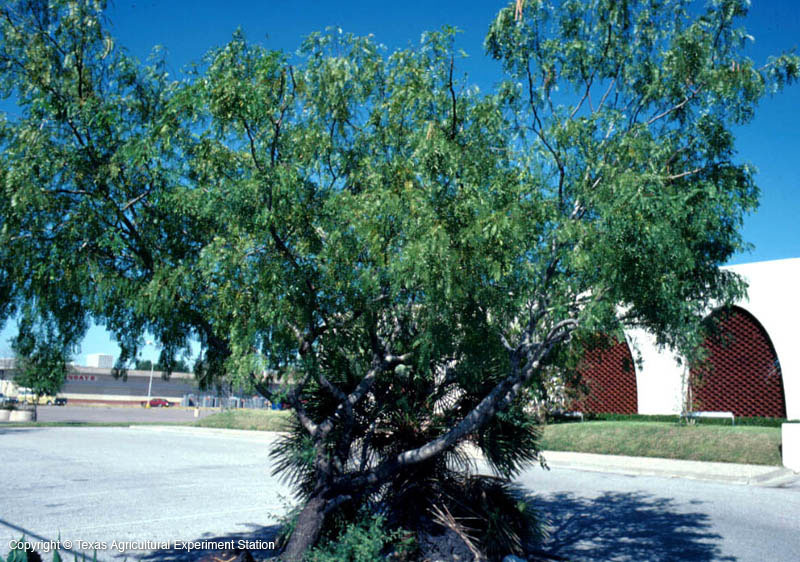 However, the foliage, flowers and fruit are attractive, it adapts to almost any soil that is not soggy, it is heat and drought tolerant, it fixes nitrogen in the soil and provides many areas of Texas with shade, fuel and timber where otherwise there would be none. The wood is used in flooring, furniture, and as a cookwood for seasoning.